Tags: Apollo M506, Masking Tape . Also widely used in furniture making, decorative glass making, automobile and aircraft painting, in appliance manufacturing, powder coating and plating, colour separating and painting, and so on . Can be used for product identification . 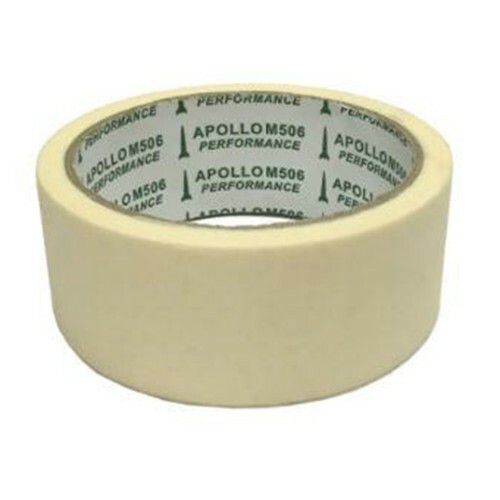 Features:Suitable for quality performance applications ,Specially formulated rubber base pressure-sensitive tape ,Crepe paper backing conforms to irre..